Directed by Siva Koratala, Bharat Ane Nenu will have Mahesh Babu playing a chief minister which is the first time for the superstar in his career. 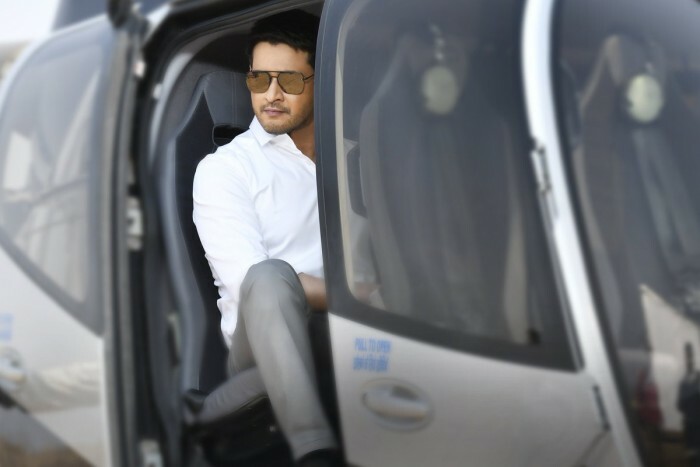 Mahesh Babu starrer Bharat Ane Nenu is few weeks away from release date and preparations for the release are underway at the present moment. Bharat Ane Nenu will be the second big release this summer after Ram Charan’s Rangasthalam released on March 30th, 2018 and has been receiving overwhelming response from all over. Directed by Siva Koratala, Bharat Ane Nenu will be Mahesh Babu’s biggest release in the US and latest reports reveal that the film will have more than 2000 shows as premieres on April 19th, 2018 starting from 3 PM EDT. It is also being said that the collections from the bookings for the premiere shows itself are expected to clock the $1,500,000 mark and could go higher than that. Experts are predicting that the film could reach the break even point in just one day and going by the number of shows the film has in the US, it could turn out to be the biggest blockbuster in the career of Mahesh Babu. Directed by Siva Koratala, Bharat Ane Nenu will have Mahesh Babu playing a chief minister which is the first time for the superstar in his career. Bollywood actor Kiara Advani will be making her debut in Telugu with Bharat Ane Nenu while actors like Prakash Raj, Sarath Kumar, Rao Ramesh, Ravi Shankar, Posani Krishna Murali, Aamani, Jeeva, Benarjee, Brahmaji, Ajay Kumar, Sithara, Rajitha, Prithviraj, Devraj and Yashpal Sharma will be seen playing pivotal roles in the film. The music of Bharat Ane Nenu is being composed by Devi Sri Prasad, who has rendered tunes to all the films directed Siva Koratala so far. The camera of Bharat Ane Nenu is being cranked by Thirunavukarasu. Produced by DVV Danayya under the banner DVV Entertainments, Bharat Ane Nenu will release worldwide on April 20th, 2018 and will be one of the biggest releases.